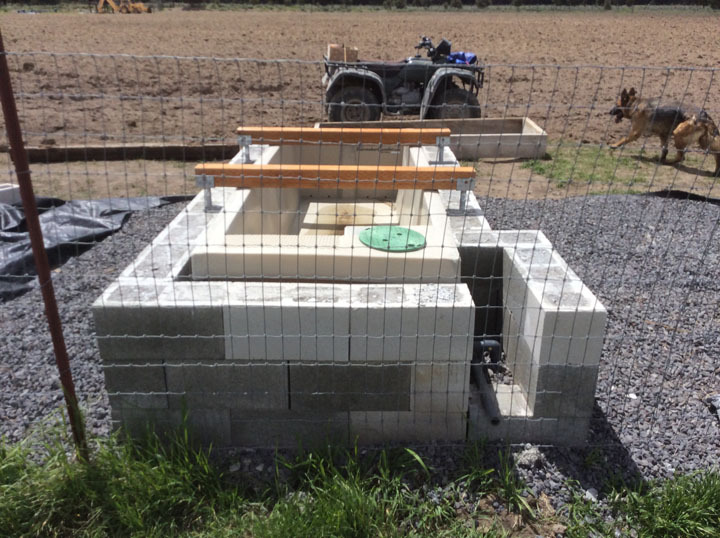 Trough-250's have been framed in with cider blocks to accommodate constant use by horses or other large animals. Animals can easily drink over the side yet are prevented from working on the trough and stepping into the trough. Plans for the block frame are available for download on the Trough-250 web page. Photos courtesy of Dan Price.